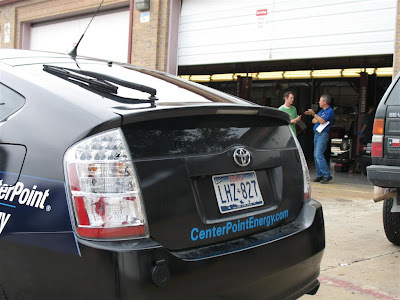 Nick Rothman of Green Gears describes the conversion process to one of the automotive teachers at Austin Community College. 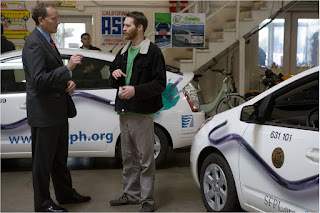 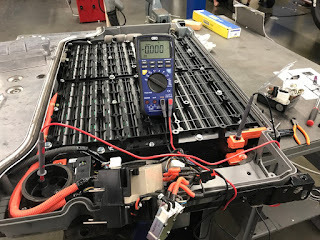 When possible Green Gears installs PHEV batteries on site at automotive training facilities in order to help technicians in training learn about the cutting edge battery technology implemented in the PHEV conversion. 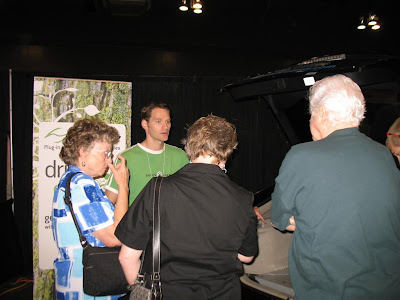 Nick Rothman describes the Hymotion battery system benefits to Austin Altcar Expo attendees.